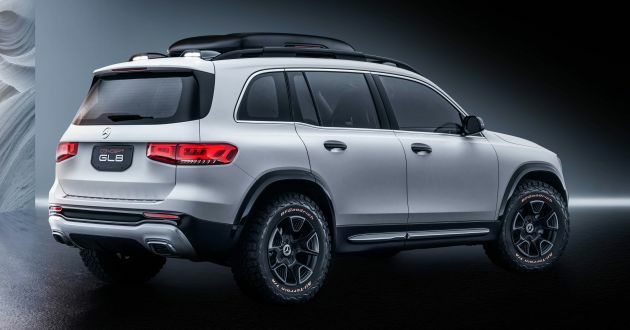 Volkswagen SMV Concept – 5.1m-long, 7-seat SUV! 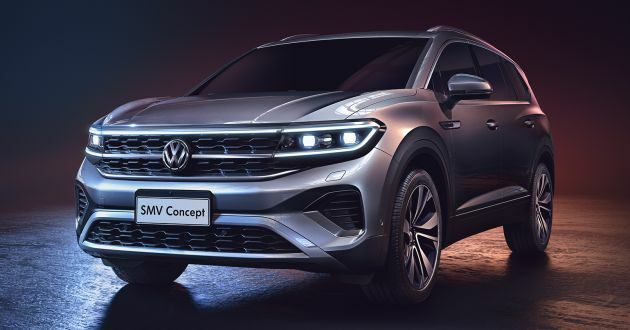 Volkswagen has taken the veils off the new SMV Concept, a huge, seven-seat SUV developed through the FAW-Volkswagen joint venture. It measures over 5.1 metres long and boasts a lengthy wheelbase that’s close to three metres long, allowing ample space for rear occupants. 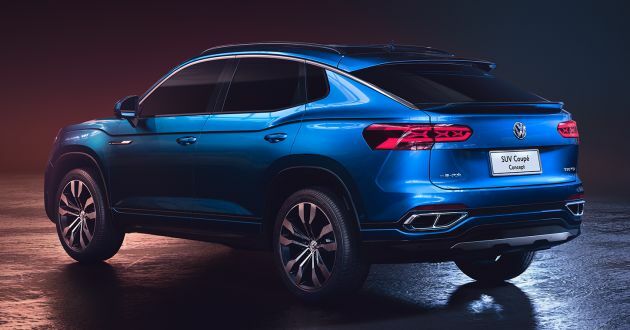 According to VW design chief Klaus Bischoff, the SMV Concept will be a true flagship for the JV company, and it’s “the most prestigious car in the history of FAV-VW Volkswagen.” At that size, it’s obviously longer than the Atlas (Teramont in China), which measures 5,037 mm in length, 1,979 mm wide and 1,768 mm tall. 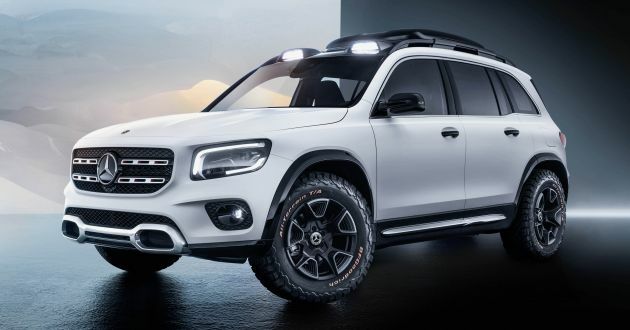 There’s not much to go about the concept, but it’s safe to assume that the SUV will ride on the MQB platform, one that also underpins the Atlas and Atlas Cross Sport Concept. 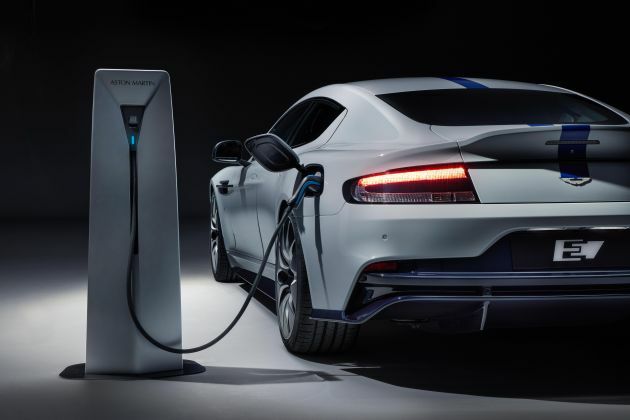 The platform enables a wide range of engines to choose from, so expect nothing less than a 2.0 litre turbocharged four-cylinder petrol to be fitted here. 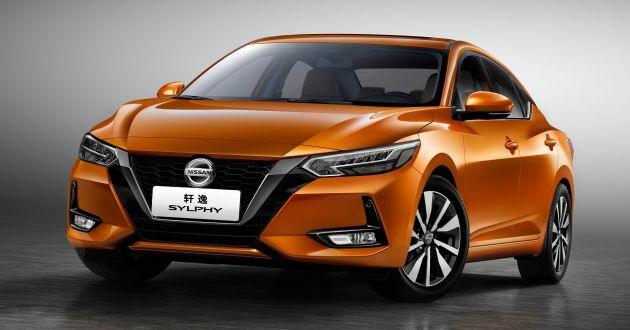 Reports suggest that the SMV will also be available with the China-exclusive EA390 2.5 litre turbocharged VR6 engine, making 299 PS and 499 Nm of torque. 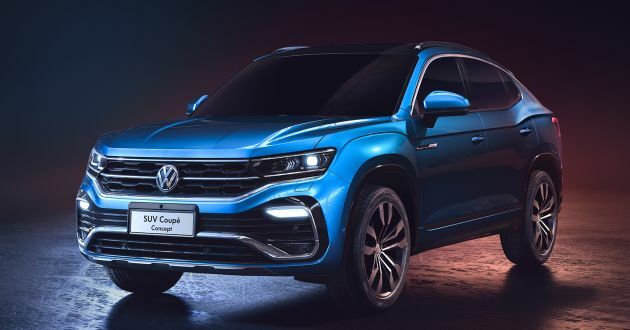 In some markets, the Atlas can be had with a 3.6 litre VR6 petrol that makes 280 PS, though this may be an unlikely choice considering the tax levied on big bore engines in China. The automaker’s 4Motion all-wheel drive should be available as well, along with a six-speed dual-clutch DSG transmission. 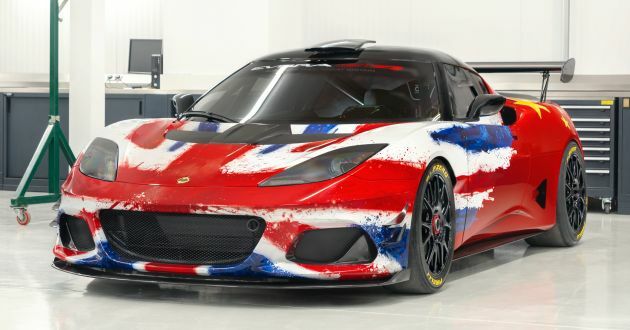 As for design, there’s little about this concept that would look out of place on the production model. 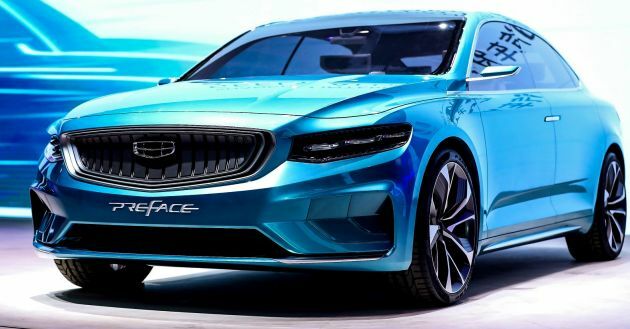 The front fascia is familiar, much like the smaller SUV Coupe Concept, except the SMV Concept’s headlights are surrounded with LED DRLs that meet with the twin chrome bars on the radiator grille. 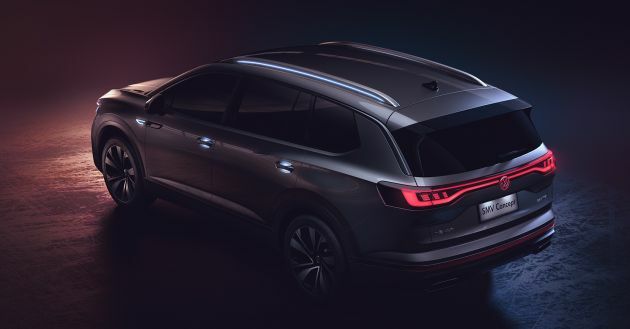 Over to the back, the SUV looks more regal with a long, continuous LED tail lights, and this is topped off with an LED-backlit badge. The latter might not make it to production, though. 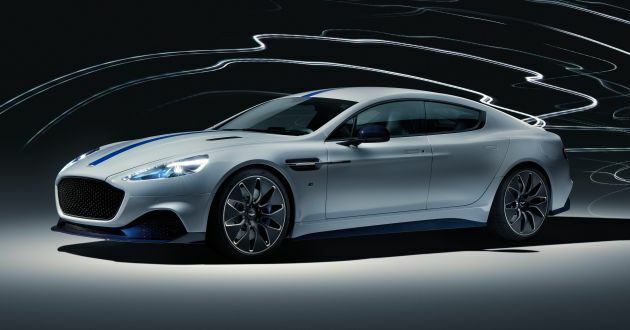 Other key visual features include twin trapezoidal exhaust exits, blacked-out rear spoiler, illuminated door handles, and roof rails. 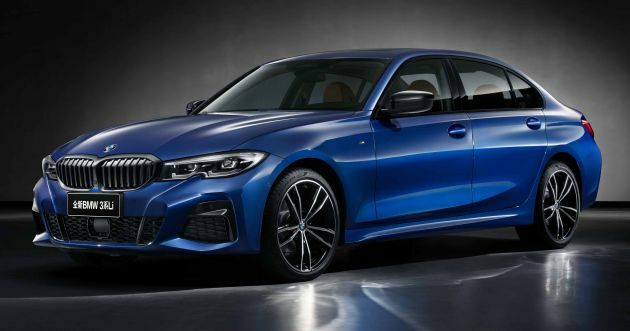 China’s appetite for extended sedans continues unabated, with the latest model being the G20 BMW 3 Series long wheelbase. 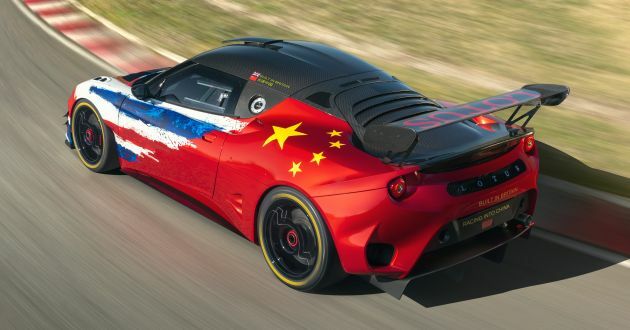 Exclusive to the Middle Kingdom, the car will be built in Tiexi, Shenyang in collaboration with its local partner Brilliance, alongside to the standard variant that will continue to be sold there. Munich says that the LWB version accounts for nearly 80% of 3 Series sales in China, so clearly this is a very important new model for the propeller brand. The extra 11 cm stretches the wheelbase to nearly three metres at 2,961 mm, and the total length has grown to 4,821 mm – the car is now the largest in its segment all around, says BMW. 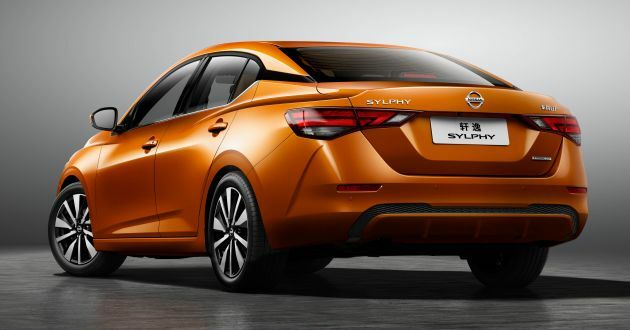 This frees up an additional 43 mm of rear legroom for mid-tier executives to stretch out. 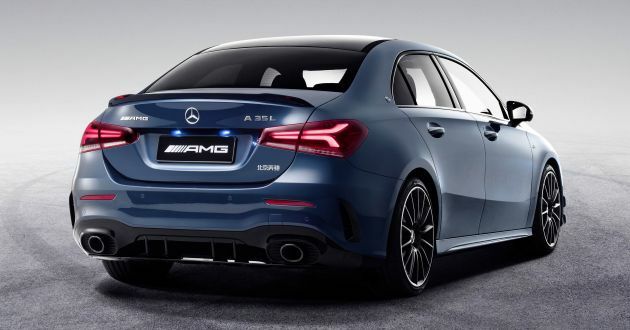 Otherwise, it’s the same as any other G20 3 Series, sporting the same evolutionary design, with the only difference being the trapezoidal exhaust tips rather than the round pipes seen in other markets. 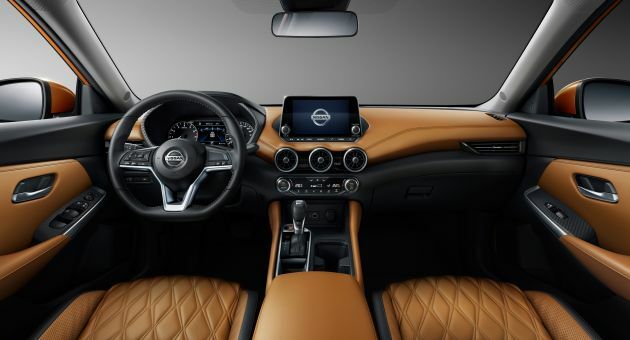 Ditto the interior, which features the new range-topping Live Cockpit Professional infotainment system and the Intelligent Personal Assistant voice control making its Chinese-market debut here. The LWB 3er also gets the full complement of driver assistance systems, including Collision and Pedestrian Warning with City Braking function, Lane Departure Warning and Lane Change Warning, Rear Collision Prevention and Cross Traffic Alert and the Driving Assistant Professional semi-autonomous driving function with Active Cruise Control with Stop & Go and steering and lane control assistant. Just one variant is available, and it’s one that we’ve not seen before – the 325Li. 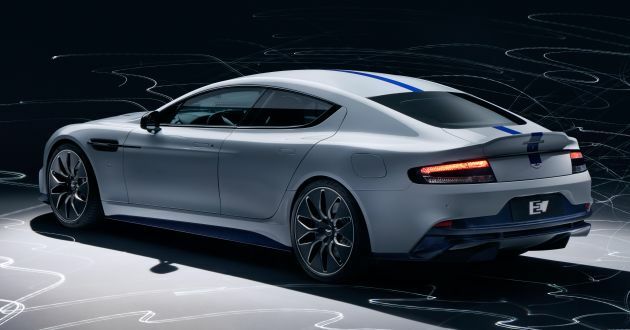 It’s powered by the same 2.0 litre turbocharged four-cylinder petrol engine as the 330i, but here it’s detuned to 184 hp and 300 Nm, sent to the rear wheels via the usual ZF eight-speed automatic transmission. 13 comments | Leave a comment? 35 comments | Leave a comment? Honda unveiled the X-NV Concept at the 2019 Auto Shanghai, which previews an upcoming mass-production electric vehicle from Dongfeng Honda scheduled to go on sale in the second half of 2019. If you think you’re looking at a restyled HR-V, you’re not wrong. However, the X-NV does get its own unique front and rear more akin to the China-only XR-V (the HR-V version sold by Dongfeng Honda), with a “tusk-like” look for the front bumper, joined by a large trim piece running through the middle of the lower apron. Other notable cues at the front include blue accents on various parts of the bumper, including on the not-Honda logo placed within the single-louvre grille, which likely hides the car’s charging port. Meanwhile, the XR-V-based rear is enough to convince you that this isn’t a HR-V, with the kinked taillights completely absent here. In their place are smaller clusters linked by a central trim piece on the reshaped tailgate, with reflectors tucked away in the corners. 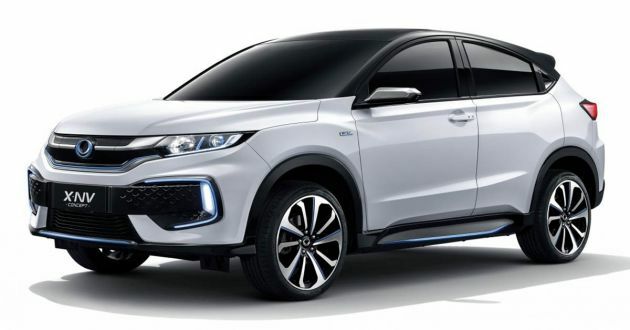 Honda previously announced its mid-term vision for electrification in China, which is to introduce more than 20 electrified models to the market by 2025. Last year, the company, together with its other Chinese partner Guangzhou Automobile Group (GAC), introduced the Everus VE-1. 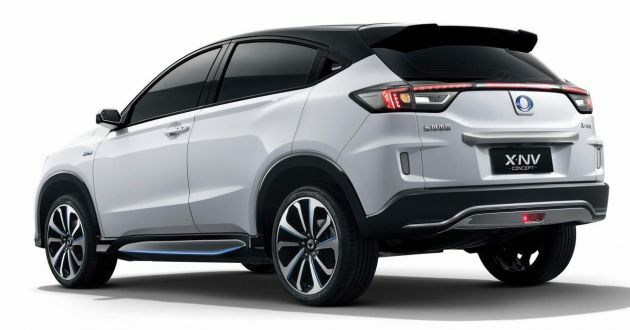 Honda’s official release for the X-NV didn’t include any details about the car’s powertrain, but it should be similar to the VE-1, which features a 161 hp (120 kW) and 280 Nm electric motor paired with a 53.6 kWh battery.